It appears that Eurocom representative has spilled the beans on Z390 chipset. The mysterious Z390 chipset, which for now has only been seen on leaked roadmaps is not launching this year with Z370 (expected on October 5th). The Z390 is likely to arrive after the full stack of 300-series chipsets (such as B360/H370) will be revealed early next year. The Z370 is just a taste of what Intel is preparing for the mainstream market next year. Eurocom rep might have just inadvertedly revealed the biggest secret of the new chipset. As it turns out, the Z390 is designed to support 8-core processors, a direct competition for Ryzen 7 series. 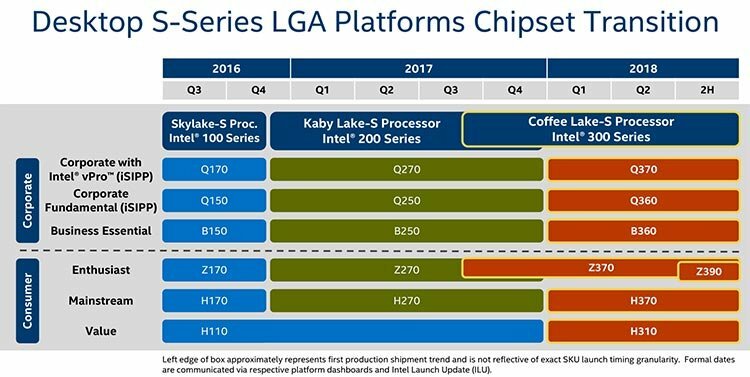 Not much is known at this point about the architecture itself, but the 8-core Intel processors might be the first 10nm Ice Lake silicons. Earlier this month a roadmap was leaked presenting Z390 chipset succeeding Z370 just three quarters later.